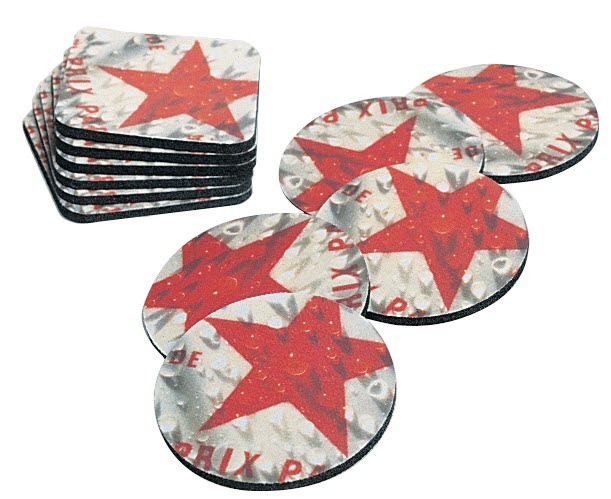 Personalised Round Beer Mats/Coasters with a full colour image/logo. They have a fabric top and rubber base and measure 95mm diameter. Personalise this item with your photos, pictures and/or text. For the best results please provide a photo/picture as big and clear as possible. Personalise the bar mat/coaster to market your business. If you would just like to have text on your bar mat please specify your background and text colour choice in the dropdown boxes below. This is also a great personalised gift for Birthdays, Anniversaries, Weddings and Christmas.